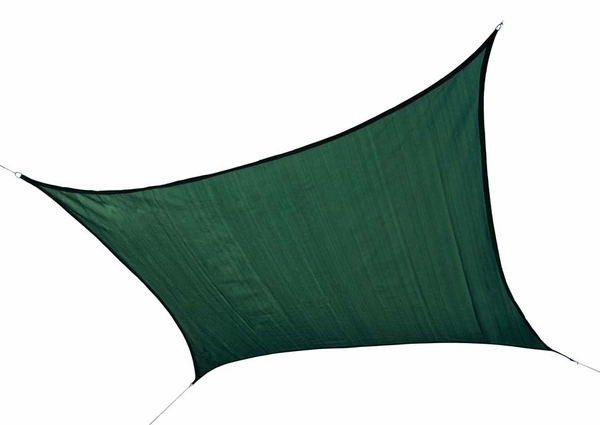 Make the most of your shade sail canopy purchase by choosing ShelterLogic. These handsome, durable shade sail canopies are constructed from 230 GSM polyethylene, so they're ready for years of use come rain or shine. 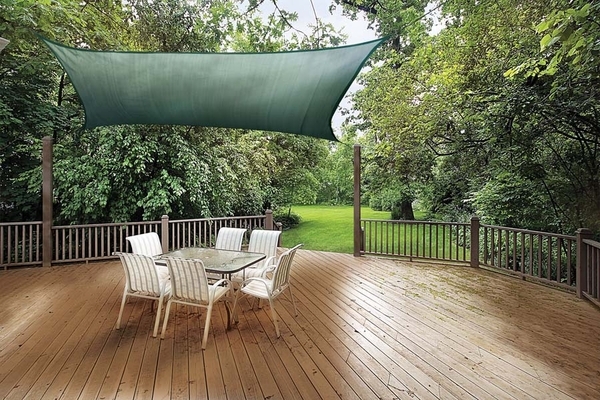 Speaking of rain and shine, these shade sail canopies block 90 percent of UVA and UVB rays but allow water to pass safely through their breathable surface. All installation hardware is included, and the fabric is backed by a one-year warranty. How much does the shade sail weigh? It weighs approximately 8 pounds.